We have unearthed 15 of the most inspiring nature photographers and conservationists on Instagram that you should follow immediately. Whether you’re planning your next outdoor adventure, or just need to see some scenery other than the view from your office desk, follow these Instagram accounts for a daily dose of mother nature. Joel Sartore is one of National Geographic's favorite photographers and the founder of the Photo Ark project, a 25-year documentary project to save threatened species and habitat around the world. Follow Joel on his journey to capture America’s most endangered zoo animals on film. To date, he has completed intimate portraits of more than 6,000 species. Sartore describes the aim behind the Photo Ark “is to get people to look these things [animals] in the eye before they go extinct"
I’m not a big fan of sharks, but Brian Skerry’s award winning photography makes me reevaluate my relationship with these beautiful beasts. Brian has been a contract photographer for National Geographic since 1998 focusing on marine wildlife and underwater environments. His photography illuminates mystery and beauty of our oceans while bringing attention the vast issues that endanger the sea and its inhabitants. Having spent over 10,000 hours underwater to capture these magnificent animals and ecosystems on camera, Brian’s Instagram is well worth a look. The photographs featured by the official Alaska National Park Instagram are seriously awesome - from newborn gray wolves to massive glaciers, the photos on this account are breathtaking. Alaska is home to 15 national parks that cover millions of acres of diverse wilderness and a human history that goes back 14,000 years. To learn more about Alaska’s natural, cultural, and historic wonders, follow this Instagram asap. If you’re curious about discovering crazy kaleidoscopic underwater creatures through high definition photography, follow the Monterey Bay Aquarium’s Instagram now! The marine life captured on camera at the Monterey Bay Aquarium looks like something out of a psychedelic dream. The mission of this official Instagram account is to inspire conservation of the oceans and to be on the front lines of ocean protection. Those curious about marine life in California and around the world will fall in love with this account. In 2016, Barack Obama called the U.S. National Parks “America’s best idea” while he walked through Yosemite National Park. After taking a look at the official Instagram for the U.S. National Park Service, it’s difficult not to agree with him. Since 1916, the National Park Service has been responsible for safeguarding America's most precious landscapes. 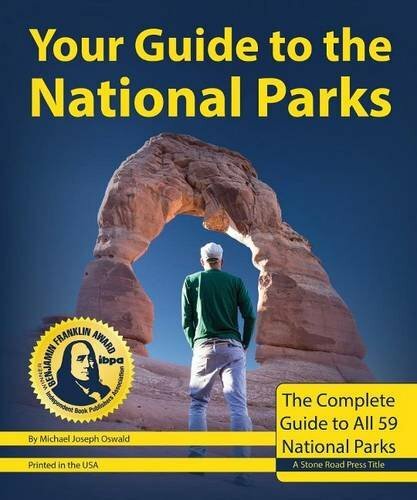 Today, the United States is home to 58 national parks that see more than 275 million visitors every year. Catch up with the awesome work the U.S. Park Service does everyday by following their Instagram. The Daily Overview was founded by @benjaminrgrant who was inspired by the “overview effect” that astronauts experience when they gaze upon Earth from outer space. This Instagram features high-definition satellite photos that offer a new perspective on the landscapes occupied by human beings. You can be sure to find photos capturing agricultural, natural, and architectural landscapes on this account. The Rainforest Alliance is an organization that supports strong forests and thriving communities by solving urgent environmental and social challenges -- from deforestation to global warming. You can follow their journey to save the world on their Instagram feed. The Rainforest Alliance has trained over 1.3 million people in earth-friendly land management and placed 103.9 million acres of land under sustainable management in 78 countries. The Nature Conservancy is a leading conservation organization that works to save the lands and waters that literally all life relies on - and they document their inspiring journey on Instagram with mesmerizing nature shots that will leave you speechless. The Nature Conservancy promotes conservation efforts in 72 countries and has protected more than 119 million acres of land around the world - from Australia to Alaska to Zambia! Ireland may be a relatively small place, but it’s full to the brim of impressive natural wonders - from mysterious rock formations to dramatic sea cliffs. Wander Ireland features stunning scenery from across the country that will immerse you in Ireland’s ancient history and culture buried in it’s natural beauty. Ami Vitale is a Nikon Ambassador and National Geographic photographer who started her career documenting conflict zones around the world. Ami decided she needed a break from the constant violence of the war zones she was working in and took up a job with the Nature Conservancy working in nature photography. Ami Vitale's journey as a photographer and filmmaker has taken her to more than 90 countries - from a community run elephant sanctuary in Kenya to exploring the wild side of pandas in China. Arches National Park outside of Moab, Utah looks like something out of an alien movie with striking landscape of contrasting colors, landforms and textures unlike any other in the world. Arches contain the world's largest concentration of natural sandstone arches with over 2,000 arches are located within the park's 76,518 acres, the park also contains an astounding variety of other crazy geological formations. Samuel and Hildegunn Taipale are a Norway-based couple with a serious passion for photography, nature, and travel. You can see Samuel’s work on his Instagram, where he posts his beautiful outdoor photography. Whether you're a climber, hiker, or both, Tara Kerzhner’s Instagram will make you crave a weekend in the mountains. Tara is a talented adventure photographer who enjoys a good adrenaline rush; she is an savvy climber and constantly pushes the boundaries of safety in order to get the perfect picture. After growing up in Bend, Oregon, Tara decided to try out life on the road and started living out of her Toyota Tundra in 2005. Follow Tara’s awesome journey on her website or Instagram. The official Instagram account for Nat Geo WILD features mesmerizing shots of animals and the people that love them. Besides hosting a fantastic gallery of wildlife photography by National Geographic's top photographers, @NatGeoWild also holds an annual competition called the Wild To Inspire contest for aspiring videographers who are using Instagram. Last years prize was an all-expenses paid trip to Africa!